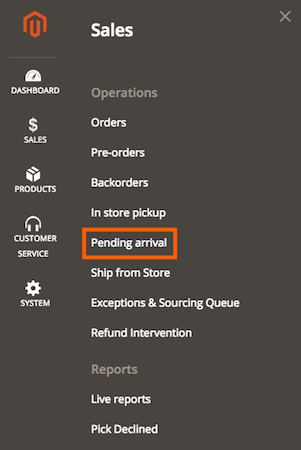 An order pending arrival is an order within a shipment request, that was shipped to the store (STS) for an in-store pickup (ISPU), with a “pending arrival” status. In this section you can find information about pending arrivals and their related shipment requests in your OMS. The Pending arrival page gives you an at-a-glance look at all of the shipment requests in your OMS with orders that are pending arrival. With this info you can prepare orders for ISPU and quickly and efficiently communicate applicable timelines for order arrivals . Quickly filter all the pending arrivals shipment requests to show only the ones you want to see with the Show Filters option. In the Shipment Request field, add the name of a specified shipment request, or a portion of a name. Select the shipment request origin from the Origin dropdown list. 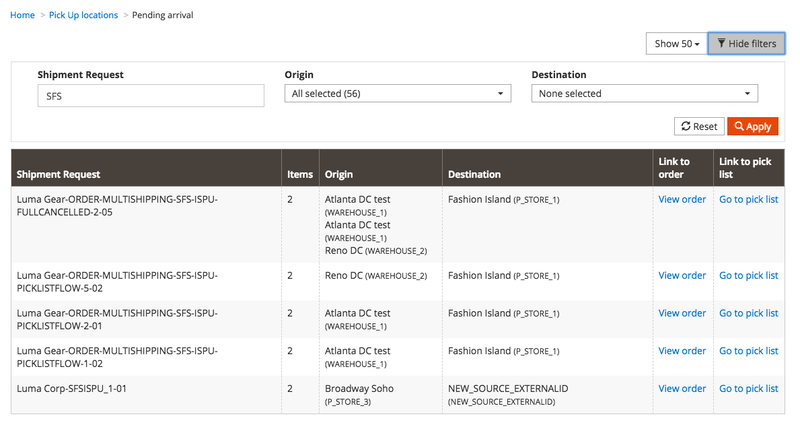 Select the shipment request destination from the Destination dropdown list. Click Apply to apply the filtering. To show all the results again, or try a new search, click Reset. To see the Order details for a shipment request pending arrival, click View order. You will be directed to the order page for that shipment, which shows a comprehensive overview of the order containing the shipment request. To see the related pick list for a shipment request pending arrival, click Go to pick list. 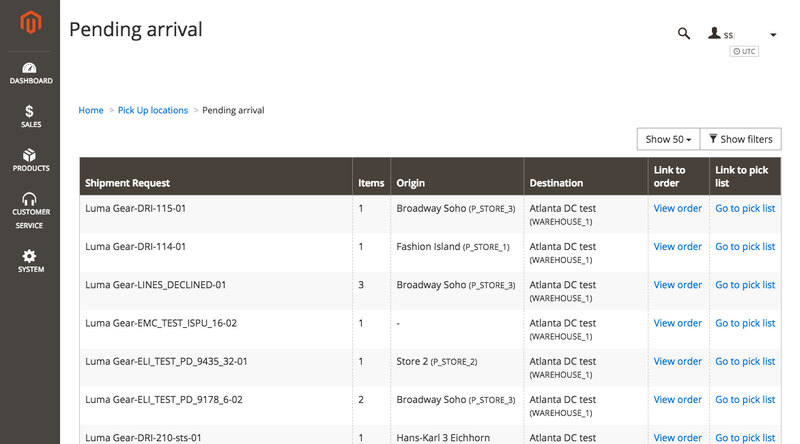 You will be directed to the pick list page, which shows the pick list overview for the shipment request.